Get 45% off these food-related domains names – create a blog about food! 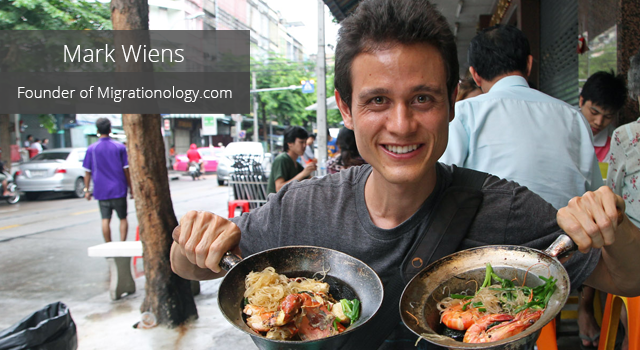 Mark Wiens is the founder of two websites: Migrationology.com and Eating Thai Food. Born in Arizona, USA, Mark is now based in Bangkok where is he working on building an online business that will finance his dream of travelling and eating his way around the world. 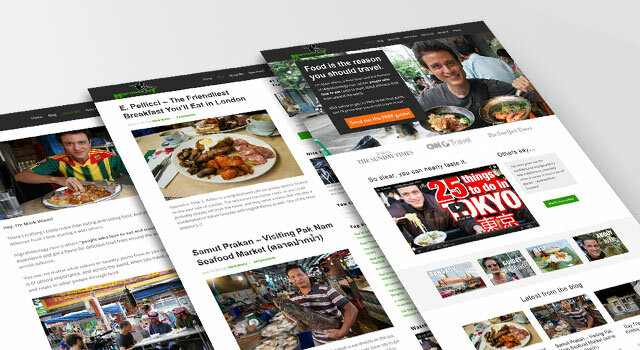 Migrationology is a website where “people who love to eat and travel” come to experience and get a flavour for delicious food from around the world and from across cultures. Migrationology provides information on mouthwatering food, plus it inspires people to get out of their comfort zone, setting goals, and pursue what they’re most passionate about. 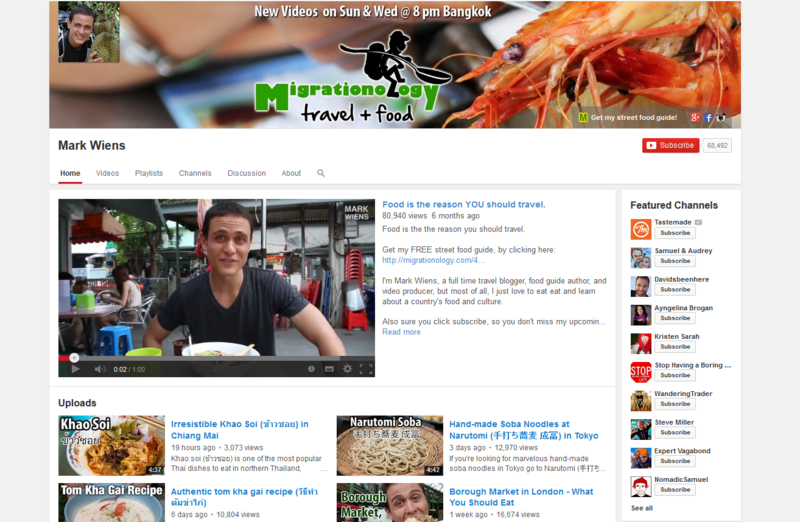 Mark also runs a very successful YouTube channel where he shares his passion for food & travel, with videos showing his food adventures in and around Asia, as well as covering the cultural food scene wherever he travels. With over 60,000 subscribers and over 12 million videos views, his food videos not only entertain his viewers but also help drive a huge amount of traffic to his websites. 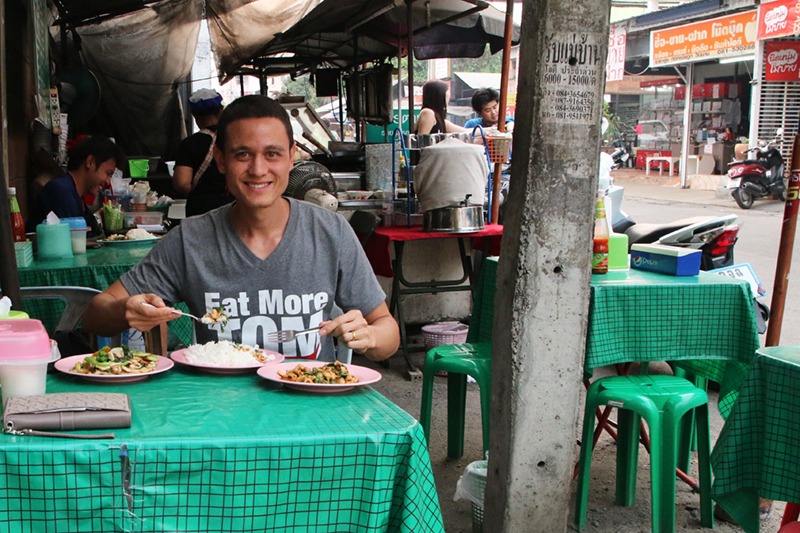 I’m Mark Wiens, a food lover and traveller. I was born in the United States, but when I was 5 years old, my family and I moved overseas. We lived in France, DR Congo, and Kenya throughout my growing up years, and eventually I returned to the United States to attend university. After graduating with a degree in Global Studies, I knew I needed to travel again. I spent some time in South America before going on an indefinite food trip to Asia. Since 2009 I’ve been based in Thailand, travelling mostly around Asia. Also, I recently got married to Ying, my Thai wife – so she now travels and eats with me everywhere we go. I used to hate writing emails or even writing anything. So after taking a 3 month trip to South America after graduating from university in 2008, I decided maybe I should just try to upload some photos to a blog – that way I wouldn’t need to write emails to friends and family – and I could just update a blog once a week or so – great idea! That was exactly my original inspiration for starting a blog. And little did I realize then, how much I actually enjoyed writing, when it’s about a subject, like food, that I’m so passionate about. Sometimes you’ve got to experiment, try new things, even things you think you don’t like, to find something you actually enjoy. Q2. Was there a lifestyle/business guru who inspired you? Which online resources do you use for your business? From the beginning it has been my family and relatives, who are all food lovers, who influenced me and taught me how to enjoy food. I’m American, but I’m actually 1/2 Chinese and my grandfather moved from China to Hawaii. Though he has since passed away, he started from the bottom and worked his way up to being a well known Chinese chef in Honolulu back in the day. So my relatives inspired me. For other online resources, I’ve learned a lot, especially when it comes to online writing and marketing from SmartPassiveIncome.com, SocialTriggers.com, Copyblogger.com, and Quickspout.com. These are all blogs I would highly recommend subscribing to and reading thoroughly if you are interested in blogging or doing any kind of online business. Q3. How do you make money from your websites? I make money from a combination of ways, the biggest sources are selling my food and travel ebook guides, affiliate commissions (especially from hotel bookings where I recommend hotels I’ve stayed at and get a commission from bookings), advertising on my YouTube videos, and finally freelance projects – usually food writing, photos, or videos. It took me about 2 years of intense work to make enough money to live off. 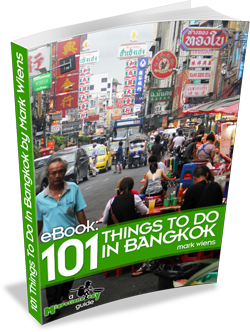 When I first came to Asia, I travelled for about 6 months before coming to Bangkok to teach English for 1 year. I didn’t like teaching English, but the fact was, I needed money. During that year of teaching, I made the decision that I would not teach again, and that I would find a way to earn a living online. Though every day after teaching English I would work diligently on my blog, after a year, I still wasn’t making much money from my blogs in order to live off. But luckily, I had saved much of the money I made from teaching, and while living frugally in Thailand, I was able to dedicate another full year, while mostly living off savings, to working hard on online projects. It was during this year, which I had sort of bought myself the time for, when I began to finally see some results and get some income from my blogs. I also published my first ebook, which was sort of my online earnings turning point. When I first started to blog I had a lack of goals, other than earning money at the back of my head, I didn’t know what I wanted to accomplish. This had me wasting time, not being as productive as I could have been. Given the chance again, I would begin with a well-detailed plan about what I wanted to accomplish and the exact steps I would need to get there – and I would write it down on a sheet of paper. Also, it took me years before I started an email list – and given the knowledge and experience I have now, I would have started a list from the first day. Another thing I used to do, and partly because I was on a tight budget, was I did everything as cheap as possible, not spending money on anything and trying to do everything myself. If you set your goals and can see the bigger future picture, it’s worth it to invest (such as paying for an email list service) from the beginning. I’ve made countless other mistakes, like starting off with a bad permalink structure, using harmful plugins, not taking care of my site security, neglecting to backup my work, the list could go on and on. But making a living online is a continually evolving and learning experience where we all make mistakes. Failing to learn, change, or improve off your mistakes is how mistakes are most harmful. Q5. Your website is set up using WordPress. Why do you use WordPress and what was involved in setting it up? How hands on are you with updating the site, blog, etc? To be honest, when I first decided to start a blog in 2008, I really had no clue what I was doing, and back then there weren’t nearly the amount of online resources about starting a blog as there are today. Browsing online, I came across ProBlogger.net – one of the only blogs about blogging back then, and that’s where I first learned about WordPress. So I originally chose WordPress, and my own self hosted domain, without really knowing what I was doing – and I’m just glad that WordPress has developed and turned into the incredible tool it is today. So far, I’ve handled all my own blog setting up and design work, and I’ve probably updated site design themes about 5 times so far. Q6. You’ve written your own ebooks e.g. 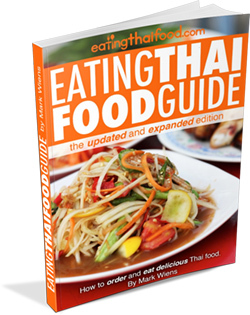 Thai food guides. What software/systems did you use to create & distribute them? What advice would you give to somebody wanting to write an ebook to promote their product/services/website? To put together my guides I used Adobe InDesign and edited most photos in Adobe Photoshop. Adobe InDesign is a powerful piece of software for creating well organized ebooks, and including things like an interactive table of contents. For selling my ebooks I use e-junkie.com, an affordable and basic solution for handling all aspects of selling a digital file online. I also like them because it’s easy to set up an affiliate program for your guide, where others can sell it, and earn whatever commission percentage you designate. I went for years, contemplating writing an ebook, but lacked the self-confidence to just finish the job and launch it. Why? Because I was afraid people wouldn’t like it or buy it, which I found is not the case, provided you offer helpful high-quality free information on your blog in the first place. So my advice is to just do it – stop making up excuses and do whatever it takes to get it done and launched. Q7. You encourage people to join your email list. What are the benefits you get from having email subscribers? How have you grown your email subscribers and how do you manage them? Email subscribers are much more serious about taking action on anything in a message than subscribers or followers are from other channels. Email is a personal message that only that person sees, and everyone still checks their email. So if for instance you publish a new article on your blog that’s really valuable, and send an email to your list asking them to share it, a good percent of email subscribers will take action. I use Aweber to manage my email lists, and I have grown my lists by offering a free ebook guide as an incentive. Q8. Your YouTube channel currently has over 60,000 subscribers. Why did you decide to start making YouTube videos and how does it benefit your website? First let me just say, the benefits of video are huge. I started making videos because I saw that very few travel and food bloggers were making videos – reason is likely because it’s time-consuming and it really is difficult – but the rewards of producing videos, make it worth your time. The first great thing about video is that you can rank for specific keywords much easier with videos than for the same keywords with articles. The second reason is that videos are so personal and relational. When you watch a video, and you are in the video, you connect with your viewers, they feel like they’re there with you, and in the end, you build trust with them. And if you’re selling a product, trust is what you need to build with your followers. Finally, videos just show so much more of an experience, I’m talking specifically about food and travel, than articles or still photos. Part of the travel experience is the sounds and the action that takes place, and videos can capture so much more of the atmosphere. Q9. Tell us what’s involved with making your videos e.g. planning, equipment, etc? How do you decide what kind of videos to make? I make some travel overview videos, like showing different attractions or cool things to do, but the majority of my videos are about food – specifically delicious street food meals. Though I have tried to learn and improve filming and editing my videos, the great thing about YouTube is that viewers don’t expect Hollywood perfect videos. Using basic equipment, you can start to produce great videos. Right now I use a Canon 70 D (doubles as a video camera and still shot camera), with a Tamron 17-50 mm lens, and a RODE video mic. Also, thanks to my wife for filming all my videos! Often, I make very few plans. I might be just walking around Kolkata for instance, notice a street food vendor who is selling something that looks tasty, and then just make a video about ordering it, what it is, and eating it for the first time. In fact, often the videos where I make no plans, are my favorite videos, because they are completely natural – no acting. Now of course, it all depends what type of video you’re making. I think for travel videos and food videos it often works well with less planning and just flowing with what happens, but if I’m making a “how to video” or teaching something, I normally will write up a script and then practice a few times before getting on camera. Q10. What kind of videos are most popular on your channel? Do you have a strategy for growing your subscriber numbers? 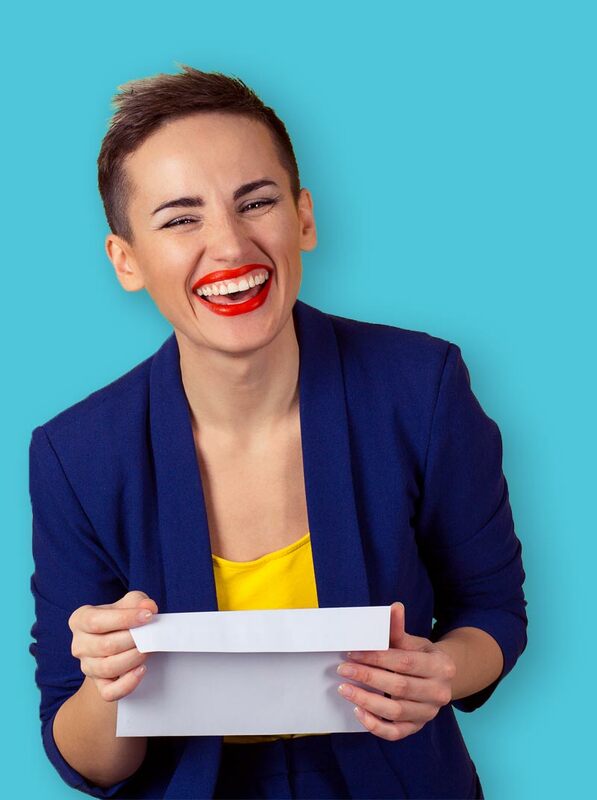 Your personality is one of the most valuable aspects of videos online. People might find your videos initially because of the subject of your video, but I think viewers will continue to watch your videos (and subscribe) because of your personality, combined of course with the valuable information you provide them with. Q11. Do you use Facebook, Twitter, Pinterest, etc, to promote your websites? How successful has it been for you? Any advice on how people can use social media to promote themselves? Yes, I use just about everything when it comes to social media. Social media is great, but it can also be a huge time waster if you get distracted. My advice is to regularly post your articles and videos across all of your social media channels, but be careful about how much time you spend on social media. Designate a time each day, maybe 30 minutes, to post and reply to social media, and don’t check in on it every 30 seconds. Don’t do this with every post, but if you feel like you’ve really created something valuable and that will help others, post it on social media and simply ask your followers to “share it.” Being blatantly direct and clear on social media works. Focus on my passion – At first when I was blogging, my niche was just the broad category of anything about travel. A few years after blogging, I decided to focus in on the travel food niche, which is what I’m most interested in. After making that decision, I began to wake up every morning excited to start exploring and writing about food. An attitude to never give up – This is a crucial part of blogging. There are countless people who blog and do it well for 6 months, and then give up. You need to commit, set goals, and never give up. Start making videos – Like I’ve mentioned above, videos can have a huge positive impact on connecting with people. I’ve made amazing connections and sold many more ebooks as a result of people watching my videos. I think committing to making videos was the single best decision I’ve made for my business so far. Q13. Where does that drive to be your own boss come from? Why did you decide the life of a 9-5 employee was not for you? Since I was a kid, I’ve always had a self determined type of personality. When I was in university, I started a small business selling things on ebay and craigslist – and that’s where most of my savings to start traveling initially came from. That’s the attitude that propelled me, and continues to do so. Q14. What’s involved with managing your websites/youtube channel? Describe your typical day. The great thing about working online as your own boss is the freedom to work whenever or wherever. Now this is not an excuse to not work, but it does make my schedule flexible. Somedays I explore and eat all day, and don’t even touch my computer. Other days I work for 12 hours or more. A typical day, I normally wake up at 6 am, eat breakfast, get a cup of coffee and begin writing (I’m a morning person and I write best early in the day). After lunch I tend to be useless for writing, so I shift to video editing. In the evening I often answer emails, and handle other tasks. Other days when I’m traveling, I’ll still wake up around 6 am, work for a few hours, then walk around and sightsee or wander for a few hours, have lunch, come back to my hotel for the afternoon to do a few hours of work (especially in SE Asia where it’s hot and sunny in the afternoon), and then head out again in the late afternoon. Q15. What advice would you give to somebody thinking of starting their own website/business? Start off by focusing on what you’re truly passionate about. You’re going to stay more focused, and people are going to notice your enthusiasm, if you are truly passionate about what you do. Next, set goals about what you’re going to accomplish and when. If you don’t set goals, you might spend an entire day scrolling through social media without getting anything done. Finally, work hard, do your best, go the extra mile, produce and publish content that will help other people. Q16. You’ve travelled to many different countries – which is your favorite, and which has the best food? There are so many incredible countries and so much delicious food. Thailand is my home base, and my wife is Thai, so I of course love the culture and outstanding food throughout Thailand. Other places I’ve really enjoyed visiting are Ethiopia for its amazing and unique food and friendly people, Nepal for its stunning natural beauty and delicious food, and Sri Lanka for its culture and amazing curries. Q17. What are your plans/goals for the next 6 months work & travel wise? For travel plans in the next 6 months, I hope to do more in depth traveling to a few of the major cities in SE Asia like Singapore, Jakarta, and Saigon – and really explore the food available. For work, I have goals set to create ebook guides about the cities mentioned above, as well as film and edit many food videos. Finally, I’m in the process right now of designing some Thai food t-shirts which will be available soon! Possibly Mark has inspired you to set up your own website and follow your passion, and maybe travel & eat your way around the world? If he has, then begin by registering the domain name you want for your business. Then get your website set up. With this in mind, Easyspace has created EasySiteLive PRO – a website builder product, to help get your website up and running in no time. Click here to try our new EasySiteLive PRO website builder for 21 Days Free of charge.